A new style wallet in fresh Island Flowers print with a smart folded envelope design. 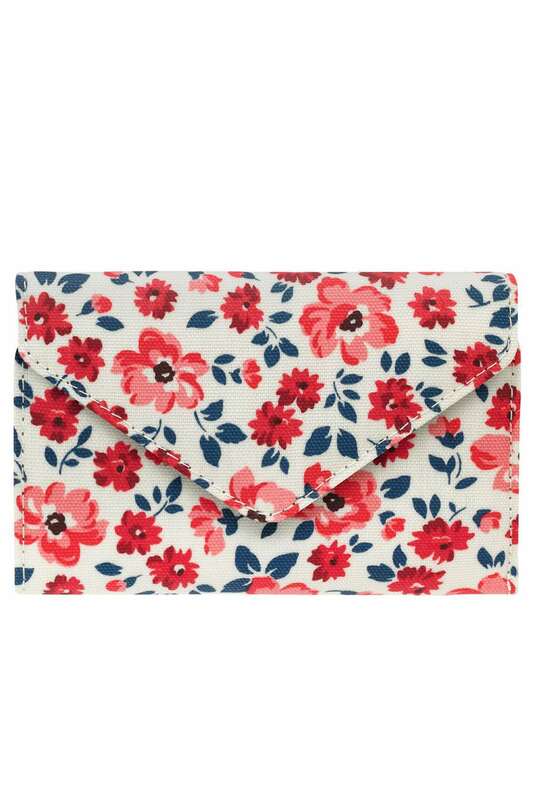 A new style wallet in fresh Island Flowers print with a smart folded envelope design. There's a zipped section with three coin slots plus a second, fold out section in contrast Mini Dot print with room for cards, notes, receipts and an ID or photo.